This book provides a comprehensive overview of the research on bile duct pathology, from basic theory to practical aspects, and presents the latest advances. The contributing authors extensively discuss the topics from different perspectives, including the pathogenesis of conditions such as cellular senescence and innate immunity as well as diseases such as IgG4-related sclerosing cholangitis and intraductal papillary neoplasm. 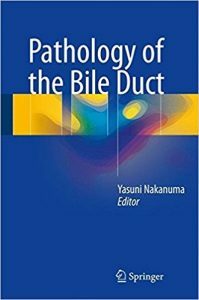 Pathology of the Bile Duct is a valuable resource not only for clinicians in various disciplines, such as internal medicine, surgery, pediatrics and radiology, but also for pathologists. Further, it allows practitioners and researchers at all levels to broaden their understanding of the subject and to explore the latest findings in bile duct pathology.